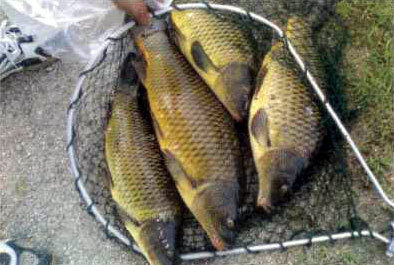 Fishing is the most ancient and popular hobby of millions. It engrosses people at any age entirely and forever. It is not occasional that fishing is called a passion. Roots of fishing seem lost in the deep past: people started to catch fish in the Stone Age. Primordial people fished with spears, arrows, and harpoons; later they learnt how to bend a spear edge so that a caught fish doesn't come off or tied a sharp bone spike. So, early fishing hooks were developed. Then people invented the fishing rod with a hook from a fish bone and a line from plant fibers. Later, our ancestors possessed secrets of metallurgy, and the fishing hook started resembled today's specimens. Today, amateur fishing could be addressed as the most common and popular active leisure in many countries. It's been noticed a human once taking a rod will never be able to forget fishing excitement. Maybe it's determined by a human instinct back to the past, when meals and, consequently, survival depended on catch, abilities not to miss a fish biting and hook in time. Fishing, people may find a way to get rid of stresses. Finally, people may go fishing just for privacy in natural environment and enjoy the silence and peace of a slow life stream. Reliable cordage and equipment and abilities to use them ensure successful fishing. The most ancient tool to fish is the fishing rod (with a float, spinning and a hand-lining rod), known by people since the Neolith. Choosing a fishing place is the first step to run in advance. Fishers'cherished places are those near a levee of the Mingechaur Reservoir, where they fish both above and below the spillway. As a rule, the bottom in such places is covered with many sunken snags and logs. To prevent the bottom from washing away, it is reinforced with big stones and brushwood piled below the levees. It is clear such hard-to-access places are usual for fish to be. They keep apart from the main stream, which starts as water falls from the levee), in backwaters and calms. Of course, carnivorous fish can also be in such places. A big perch can be caught along with a pike. Pike-perches also populate such places, but they stay a little below falling water where streams get weaker. Stream surface is usual for asps, and it is near places free of snags near the bottom where chubs and ides can be caught. Fishing in such places can provide record success. Big-river levees are specially promising, where fishing can be incredible and extremely exciting. 16-kilo pikes, sheatfish, big pike-perches (8-10 kilos), asps, and big perches (up to 2-3 kilos) are caught there. Fishing from "beds", or platforms installed on piles 1.5-2 km offshore and equipped with sheds, living premises, electricity etc. 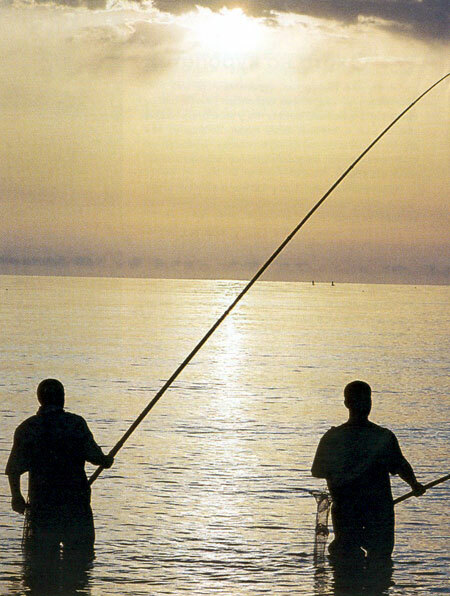 is a common way of Caspian fishing. Snow melting, water rises in reservoirs and gets oxygen-saturated, so fish's life intensifies. 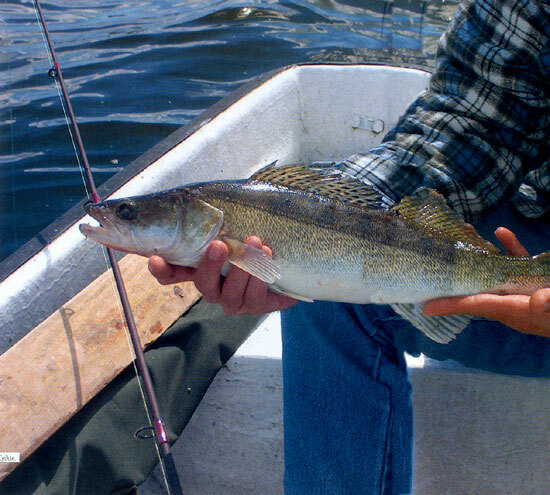 Fish, significantly emaciated and exhausted, leave deep pits they have spent long winter in for shallower places and start more active moving and intensive feeding to reward themselves for winter half-starving. At this time, a fish's organism is preparing for forthcoming spawning, which most fish have in spring. After spawning and short rest fish start the strongest feed, which makes them lively and energetic. Water warmed up a bit in early summer, fish living mode sharply changes. Many of them rise closer to the water surface and come out to shoals and rapids. In hot time, when there are many non-carnivorous fish appear among water-lilies and reeds, small pikes and perches immediately move there, too. At the time, pike-perches and asps are looking for their prey on sandy shallows, where fries concentrate. Autumn approaching, air temperature decreases, and water gets cold. Bright-green algae turn brown and flabby, which makes them uneatable for non-carnivorous fish, which starts leaving shallow places towards the bottom followed by the carnivorous, pikes, perches etc. Pikes hide in snags, near piles, and among water flora, from where they rush on a potential prey carelessly passing by. The pike's habit to hide is very different from the asp's manner to quietly move in upper water layers seen by other fish, who escape apart as soon as they see it. Only lightening-like rush to chase a fleeing bleak school added by a strong stunning hit of the tail can provide the asp with prey. After sunset, pike-perches splash around to chase the prey; they jump out of water and fly in air, their fins protruding, to follow a small fish, which tries to escape from that toothed mouth, but can seldom succeed. A whirlpool, pit, wide flood, and quiet streams are paid first attention when fishing in a reservoir with a fast stream. For the slow-stream one success, in contrast, is more likely to come where there are rapids, shoals ending with deep holes and wash-outs near bends of steep banks. For still water or lakes, one must look for shallows and underwater heights especially with much water flora, sunken beds of brooks, rivers and ravines, and, on shallow reach, pits, bottom fractures and underwater furrows. To generalize, where the bottom relief and underwater situation are other than normal, fish can hide, pick up moving food and attach weaker inhabitants. Of course, a fisher shouldn't skip stone piles, snags on the bottom of tributaries'deltas, passages between islands and lakes, and places with piles staying from levees and bridges because all these are excellent fishing places. Fishing will only be successful and pleasant when a fisher treats the sport seriously, but not as a short-term fun. To fish successfully, one needs not only to apply correctly built equipment and possess fishing skills, but also know fish's mode of life and habits. Spinning fishers know carnivorous fish behave differently to get rid of a hook: a pike up to 2 kilos usually rushes jerkily, rises vertically etc. ; a chub strongly pulls back and has often short and harsh moves; an ide starts turning somersault and roll around itself strongly resisting. All these examples show how versatile different fish's habits are. However, there are a few ones all carnivorous fish are equally notable for. For example, all of them usually gather near small fish's stay in pits, near sunken trees and in other similar places where they leave for the prey from. It has been repeatedly noted schools of the bleak and other small fish going up or down the river are always followed by the carnivorous such as pike-perches, pikes etc.